Hard to believe, but it's that time of year...again! Whether your business slows this time of year or picks up speed, remember to take some time for yourself. We all get so busy trying to mark everything off our holiday to-do lists that we often forget to slow down and enjoy all that is going on around us. Check out our article featuring 10 tried and true steps for enjoying a relaxing holiday season. As always, but especially at this time of year, we're thankful for all of our Designer Society of America members, spread far and wide across this great country of ours. As you head into the hectic season of festivities, remember that we're here to serve you in any capacity we can. Helping you take advantage of all the benefits a DSA membership offers is what we enjoy most! From all of us here at the Designer Society of America, we wish you the merriest Holiday Season and the happiest New Year ever! "The Network", America's Window Covering Buying Network is excited to announce their partnership with The Design Society of America. The Network has become the premier buying group for over 700 independent designers nationwide. 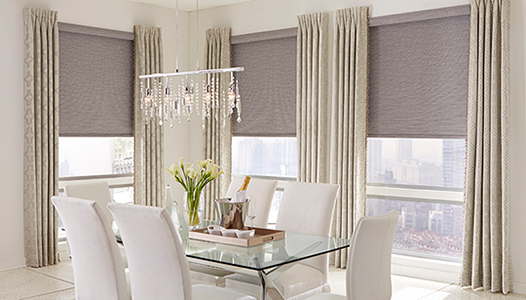 Our designers have access to 18 of the leading suppliers in the industry providing sources for blinds, shades, shutters, including décor items ranging from area rugs, lighting, luxury bedding, pillows, wall art, accessories and wallpaper. The Network's membership consists of independent window fashion and design professionals -- just like you -- who have joined together to leverage the groups' buying power in order to receive better discounts on their everyday purchases. Our mission is similar to DSA - we are here to assist you in growing your business, making you more profitable while providing the tools, education and buying power you need to succeed. Savings of 5% - 20% or more on the products you purchase. Sample book discounts with up to 50%. Monthly promotions ON TOP of everyday discounts. Newsletters with vendor updates, new products, trends, member news, and more. Programs with18 of the top suppliers in the industry. Keep your independence -- nothing changes! Place orders directly with the vendors of your choice. Vendors continue to bill and ship you directly. Retain your same sales representatives. You buy from the Network vendors of your choosing. The Network's website offers the latest industry news, product information and features, vendor training schedules and seminars, monthly promotional products, complete vendor program details and much more. The Network News, our monthly newsletter, keeps you informed on what's trending while providing helpful tips on best practices to grow you business, member news, vendor news and more. Our experienced and dedicated staff's mission is to help you grow your business, provide a go-to source for all of your design needs and share our knowledge with you. We look forward to our new partnership with DSA and have designed a special introductory membership offer for all DSA members. The Network is offering all DSA Members an exclusive savings - the Network / DSA annual membership fee is only $150. Regular annual fee is $180. Chandeliers can add a glamorous touch to any event, and a few simple steps can convert a hardwired chandelier to one that can be plugged in with an extension cord and used anywhere. Just think about how festive your holiday parties will be, lit by the glow of a temporary chandelier, even outdoors! Wire strippers (optional) The wires will likely already be stripped. If you don't have wire strippers, you can carefully strip wires with a pair of scissors. Chandelier - Paired with a new coat of spray paint, a previously-used chandelier makes a great piece to experiment with, and even outdated brass chandeliers can be spray painted to suit your color scheme. Now, grab your 2-prong or 3-prong plug and firmly insert a screwdriver up through the base. The yellow portion (stamped "remove") will pop out, allowing access to the plug's prongs. Once the yellow center portion is removed, the prongs will either pop out or come out with a gentle tug. You'll notice each prong has a tiny screw which was hidden by the yellow plug. This screw is where your prongs will connect to your light fixture's wires in order to conduct the electrical current. Loosen but do not remove these screws. Next, feed the light fixture's wires up through the base of the plug and out the front. Attach your light fixture's wires to the pins. Wind the wire in through the notch and snugly around the screw post. Tighten the screw to securely hold wire. Next (and this part can be just a bit tricky) push your prongs back into the plug housing with the head of the screws facing outward. Seat the prongs snugly into each side. Now, replace the center yellow portion, pushing it completely in, until the black and yellow front are flush. All that's left to do is determine the absolutely best spot to display your fabulous new lighting feature. Ta da! Holidays are all about family, friends, creating memories, sharing good food, having fun and entertaining. It's also a time to reflect and enjoy. This holiday season take the opportunity to share your creativity with those you love. Our imagination is constantly being challenged for our clients. Let's take a break and use our imaginations and individual gifts to entertain and enjoy our loved ones by throwing a themed holiday party. Many years ago I had the time of my life at a "Phantom of the Opera" play. Though I had seen the performance eight times in different venues, this particular year I decided "Phantom" would be the theme for my New Years Eve party. Twelve years later, guests are still raving about all the fun we had. We announced our party by hand-delivering scrolled invitations to our special guests. Then we cleared the main living areas of our home to make room to re-design for the themed party. Guests arrived in their version of "Phantom of the Opera" costumes, and we provided masks in the half-faced Phantom theme for the men. I had drapes from a re-designed home that actually looked as if they came right from the theatre set! We served all the food buffet-style in elaborate silver serving dishes and used our fine china. Strategically placed stone statues and huge vases of arranged roses enhanced the dining area where seating was arranged in the Baroque style. Did all of this take time to prepare? Absolutely! Anything worth doing well will take time. Do what I did and enlist some family members to help. You'll find that prepping for the themed party can be a thoroughly enjoyable experience. Obviously it has to be the right time in your life to pull something like this off. Little did we know that my husband would be relocated and that we would be moved around and relocated several times in the years to come! Themed parties can be just as much fun even if they aren't done on such a grand scale. This year our Florida home has a lovely "Robin's Egg Blue" and off white living room, so the thought of changing the entire color scheme for the holidays is far too overwhelming since we just completed the redesign. In keeping with our new interior, this year's holiday theme will be "Coastal Christmas" and we have just started the process. Tommy Bahama has a lovely line of sand dipped and sparkly sea creatures for the tree! 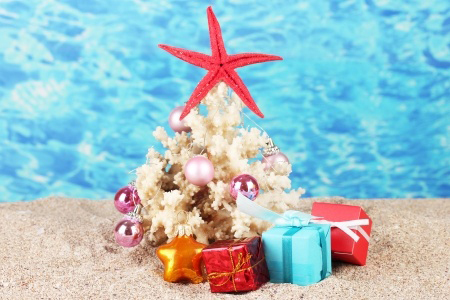 Festive seahorses, manatees and crabs may seem like crazy holiday décor to some?and far from traditional, of course?but we are in Florida where it makes perfect sense! With all the lights, glittery silver, mercury glass candleholders and cut crystal glass ornaments, there will be enough sparkle to delight even the strictest of critics. These are just a few of my experiences - we are a creative group! The holidays are fast approaching and we're finding inspiration is everything we see and experience. I know that if I light a tiny spark many of you will use your lion's share of imagination to create parties that your friends and families will never forget! Whether you decide to throw a masquerade party, a movie theme party, retro party or a `Toy Story" party, you can make the event whatever you want it to be for your guests. The opportunity to follow the theme is not limited to the décor. Extend the theme to your menu, entertainment, party favors, drinks, and tablescapes. Your creative invitations will be just the beginning of the fun! Please share your party themes and photos; we would love to share them with our members. 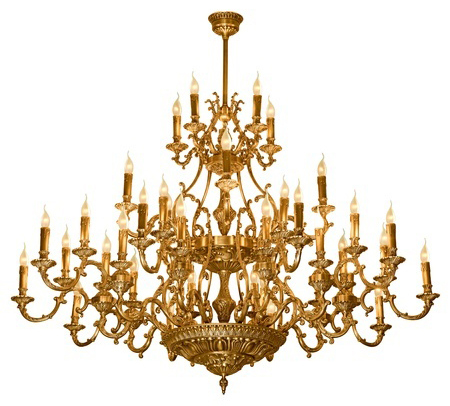 We have a wonderful step-by-step instruction guide for hanging a temporary chandelier. Let's face it, fellow designers, no good party is complete without a bit of bling and some extra mood light! The holiday season is meant to be a joyful time of year, but it can be extremely stressful for many people. You can potentially be a lot happier and enjoy a relaxing holiday with some simple planning, lack of excess and the proper focus/perspective. Stress taxes your immune system and is detrimental to your health. For this reason, it is extremely important to adopt a more realistic and balanced approach to the holidays. Decide on a budget for spending, write it down and stick to it! 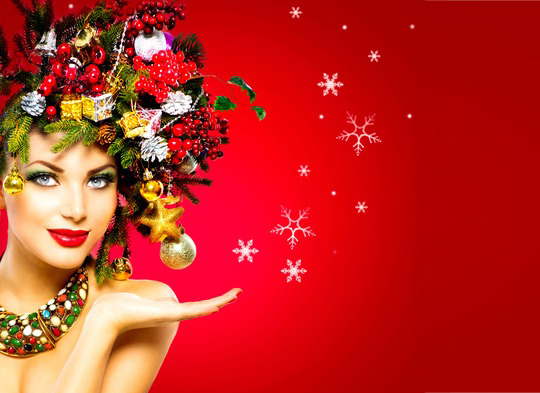 Excessive and impulse spending, and the resulting influx of bills, is one of the top holiday stress producers. Pre-planning your holiday budget can eliminate this added financial stress. Shop early and online to avoid long lines and crowded mall parking lots. Online shopping allows you to grab the laptop, kick your feet up, and enjoy a soothing hot beverage while choosing gifts for everyone on your list. Be sure to allow plenty of time for shipping, and keep a written record of each purchase. 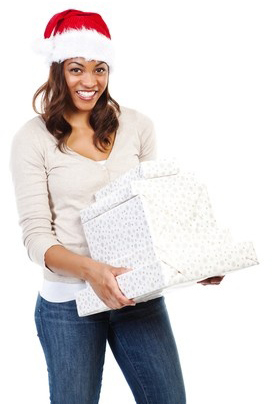 Wrap gifts as you buy them instead of leaving all of the wrapping until the last minute. It's a great idea to buy holiday presents throughout the year when you see them, especially if they are on sale. Doing this will further alleviate the holiday budget crunch. Stock up on wrapping supplies by shopping at the after-holiday sales for next year. Avoid those long lines at the post office and other shipping businesses by stocking up on stamps and shipping supplies before the holiday rush and mailing packages as early as possible. Try to be realistic about your holiday commitment schedule, your holiday card list and your holiday budget. Think progress not perfection here. Learn to occasionally say no. Remember the "reason for the season," and think about all of the good, positive things in your life at least once a day instead of focusing on the negatives. Gratitude is very powerful and uplifting. Although we love our families, too much togetherness and a multitude of varying needs can breed short tempers. Try to maintain a sense of humor and a positive attitude. If you need to, take a short time-out to center yourself and be at your best. Take a break by setting aside some time for yourself over the holidays. A little solitude does wonders for stress. Read a good book, take a hot bath while listening to relaxing music, enjoy a crackling fire and some hot chocolate or meditate on the true meaning of the holidays. Remember that the best things in life are free. Enjoy life's simple pleasures by getting out in nature and noticing all of the sights, sounds and scents of the holiday season. Be mindful and enjoy the present moment without regretting the past or worrying about the future. Reconnect with loved ones over the holidays. Enjoy family, call an old friend, and send cards to loved ones across the miles. Sharing love is great therapy for everyone, especially those feeling lonely during the holiday season. If you inevitably find yourself stressed after your best efforts, don't panic! Try this easy "emergency" relaxation technique. Find your "Sea of Tranquility" acupressure point, located in the center of your chest in the indentation about three finger widths down from your breastbone. Rest the tips of your fingers lightly on the point and very gently rub in a counter-clockwise circular motion. As you rub, take a few slow, deep breaths? closing your eyes if possible? in through your nose, out through your mouth. As you breathe in, think "I am," and as you exhale think "calm." Be sure to breathe slowly so you don't begin to hyperventilate. This is enough to trigger your body's natural relaxation response as well as regulate your heart rate and calm your mind. You'll be feeling relaxed in no time! About the Author: Terri R. Marshall is a relaxation therapist, certified stress management specialist, wellness coach and owner of Tranquility Bay Relaxation Therapy and Wellness Coaching. As you scramble to find the perfect gift for every special person on your list, consider something that is a reflection of yourself and your passion for design. While not everyone has the talent or ability to design, many can certainly appreciate it, especially your treasured clients. Consider gifting them a fabulous coffee table books, filled with beautiful scenes and the stories of those fashion and design icons who've changed the world of interior design and fashion as we know it. Below we've shared some of our favorite books and resources. Schooled in the classics, restraint and appropriateness are hallmarks of Bunny Williams' style. Objects, patterns, textures and colors, all beautifully balanced, have an appealing undisciplined look? the direct result of great focus and meticulous planning. In addition, Williams' passion for design extends beyond interiors into the garden. She offers a number of coffee table-worthy books, from her popular An Affair with a House to the beautiful On Garden Design, all would be fitting gifts for anyone who appreciates fine living. Veranda's founder and editor-in-chief (1987-2010) Lisa Newsom has seen a lot of beautiful homes. Highly respected by architects and designers, she has put together this coffee-table worthy collection of 30 of the most amazing homes ever featured in the magazine. The Houses of Veranda is a collection, personally selected by Newsom, of the most amazing homes featured in the magazine over the years.